While I remember, there’s this little curiosity. 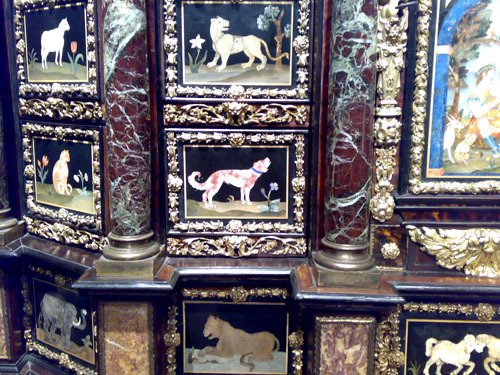 At the Christie’s preview I went to the week before last, there was this astonishing intarsiaed Louis XIV tortoise shell/pietra dura cabinet, which went on to sell for a good £4.5 million. 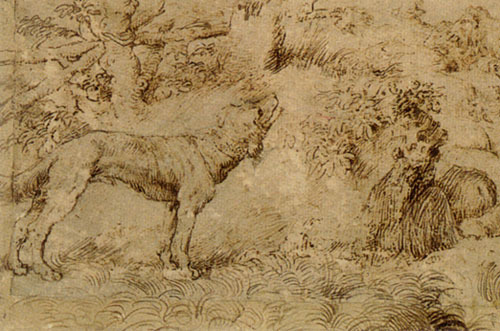 Anyway, what leaped out at me immediately, being mired fatally in Titian’s prints at the moment, was a little dog design inlaid on one of the drawers. 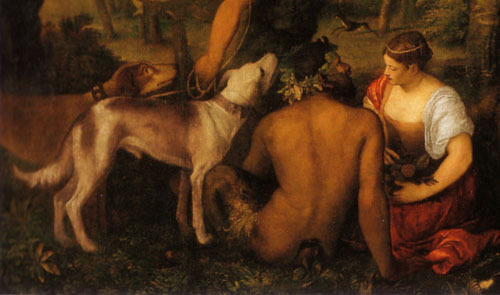 This dog actually has a pretty distinguished pedigree, probably originating in a very damaged, early 1530s drawing by Titian in the Louvre, which was reproduced in several engravings in the later 16th Century, and it also migrated into the master’s very large and famous — and famously perplexing — mythology, also in the Louvre, called the ‘Pardo Venus’. This painting is usually thought to have been initiated in the 1510s and finished in the 1550s and sent to King Philip II of Spain, but for complicated reasons I won’t go into here, the documentation advanced in support of this is highly unlikely to refer to the Louvre canvas, which rather looks like a painting of the early 1530s. 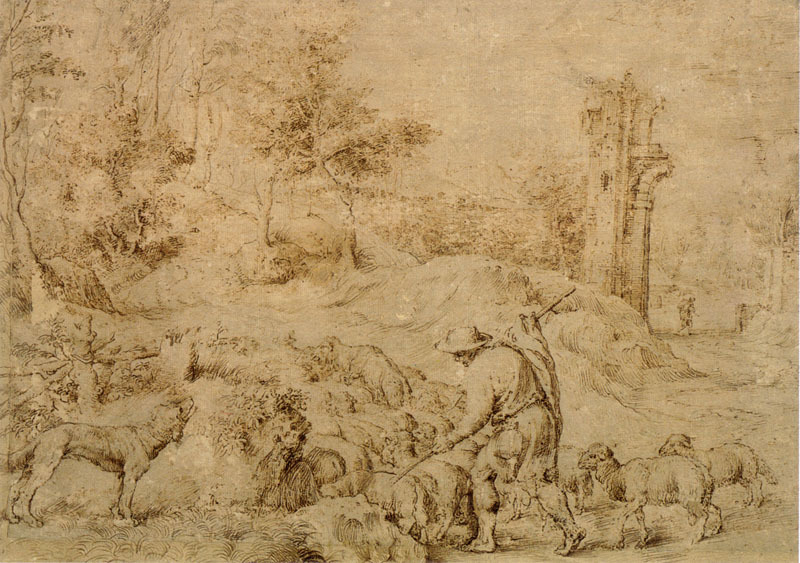 The dog, then, seems initially to have been devised to accompany the shepherd in the drawing, before it was transferred wholesale into the collage-like painting. Er, OK, this is really obscure, but I’m off to Paris and the Louvre now, so maybe that’s why I thought of it. Obscure, yes, but interesting. I like the title you chose. Thanks! It is the kind of thing that tends to obsess you, when you stare at these things all the time.